This is a 3 day conference. Please see HPCO- Hospice Palliative Care Ontario website for details. May 5th – 11th, 2019 observes the nineteenth annual Hospice Palliative Care Week. Canadians from all walks of life benefit from great hospice palliative care. Have you lost someone close to you? Take the journey to healing. Hospice Muskoka is pleased to invite you to a FREE Grief Support Group. Learn more about how grief affects you. NO CHARGE! Grief Group sessions will run every Wednesday for 6 consecutive weeks. 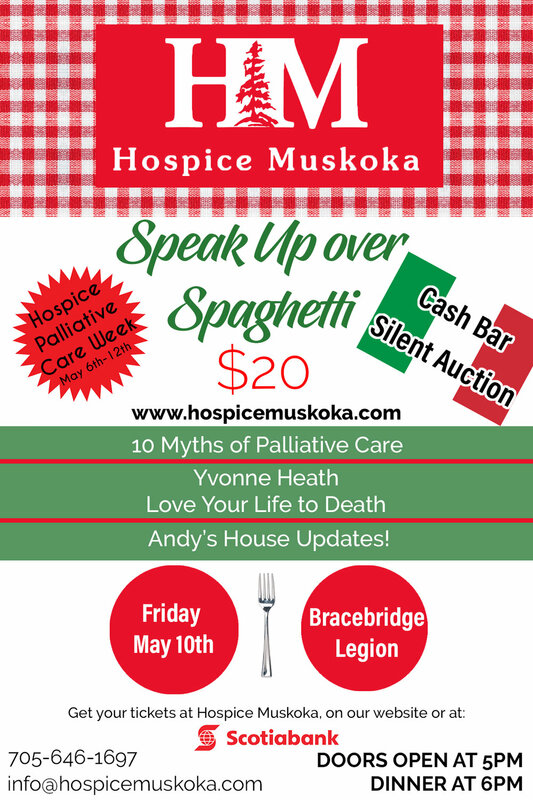 Join us at the Bracebridge Legion on Friday, May 10th for an evening full of fun in support of Hospice Muskoka and Andy's House! In celebration of Hospice Palliative Care Week you will hear about the 10 Myths of Palliative Care, from Yvonne Heath, author of Love Your Life to Death, and updates on Andy's House, a future palliative care hub serving South and West Muskoka opening this fall 2019! Don't forget to bring some extra cash for bar drinks and the amazing prizes at our Silent Auction table! Starting Monday April 15th Tickets will be available at the Hospice Muskoka Bracebridge Office (15 Depot Drive) or at Scotiabank in Bracebridge, Port Carling and Gravenhurst. 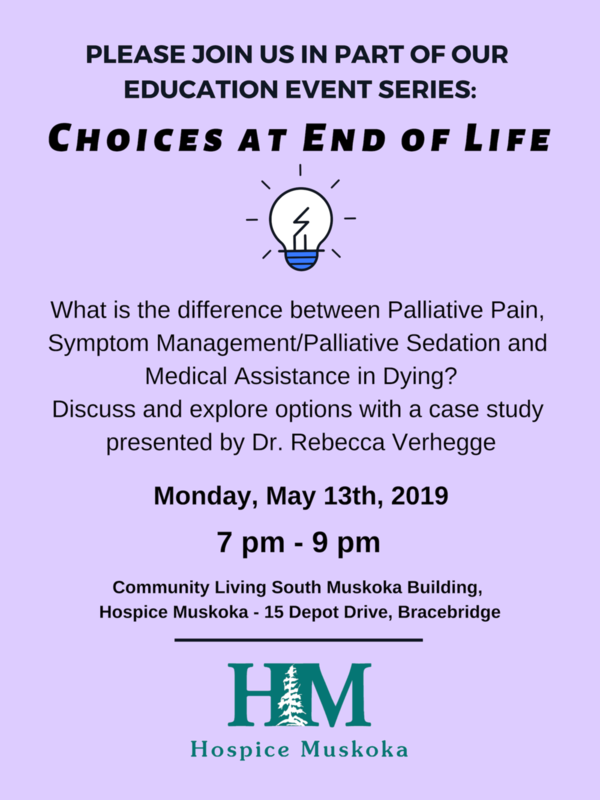 Discussion about the difference between Palliative Sedation and MAID (Medical Assistance in Dying) which will include pain and symptom management. What is the difference between palliative pain and symptom management? Grief Group sessions will run every Thursday for 6 consecutive weeks. Get your delicious Chocolate Heart Pops for the Month of February! If you’re at the Fire and Ice Festival Bracebridge this weekend come say hello and get a delicious Chocolate Heart Pop for only $2. You can find us at the top of the hill by Momma Bears. All proceeds support Hospice Muskoka. Share your Chocolate Heart Pop photos with us. 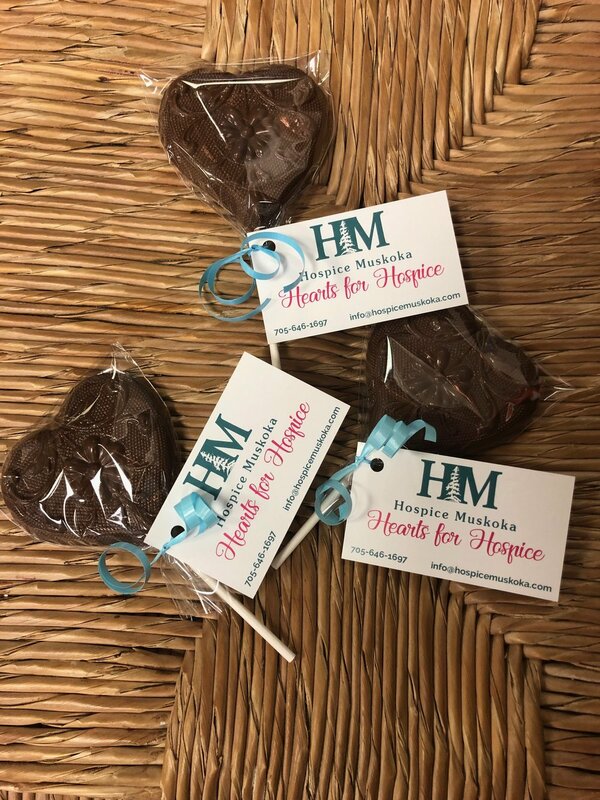 Tag Hospice Muskoka on Facebook and Instagram and use the hashtag #heartsforhospice. Week Two – What is Death? The Tuning Fork program runs for 8 weeks beginning Thursday, January 17th, 2018. 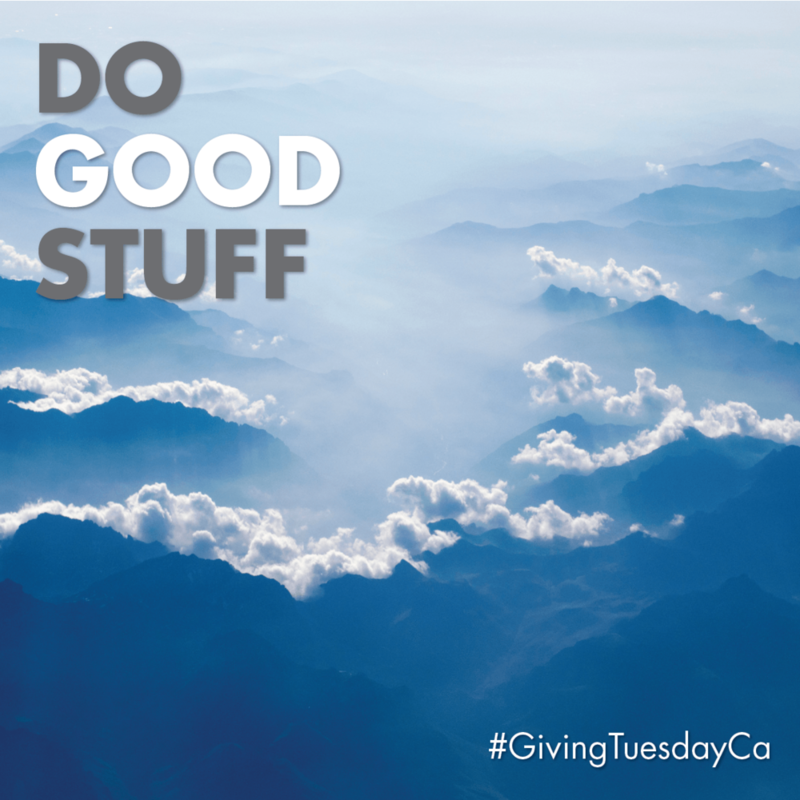 Make Hospice Muskoka your charity of choice this Giving Tuesday on November 27th, 2018! Have you lost someone close to you? Take the journey to healing Hospice Muskoka is pleased to invite you to a Grief Support Group. Find out how grief affects you. Share your feelings with people who understand what you are going through. This will be the fifth year Hospice Muskoka will be hosting our Annual Fashion Show. We have completely revamped the event to make it even more exciting and enjoyable for our patrons. We have entitled this year’s event, Beauty, Badges, Bags & Bingo. Along with a fashion show and refreshments, including wine & cheese, we will have a variety of opportunities for people to win great prizes. There will be 2 Golden Tickets and 10 Bingo Games with brand name purses as prizes, game helpers will be Muskoka’s first responders in uniform. Additional games include a raffle to win purses, fashion accessories, gift baskets, and certificates, as well as a secret key to open a box with a handmade jewelry item from Penny Varney. This year we will also have a Wall of Wine with 100 bottles valued from $15.00 to $75.00 for which people can draw a cork to win. Tickets are available now at Scotiabank in Bracebridge, Gravenhurst and Port Carling as well as online and by calling our office. Tickets are $30.00 per person. Please plan to bring your wallet to participate in the Golden Ticket Draw, Bingo, Silent Auction and Wall of Wine. Please vote for our Idea. Dr. Amanda Gardhouse is a Geriatrician at the Seniors Care Clinic in Orillia and at Orillia Soldier’s Memorial Hospital, where she is one of two physicians spear-heading the Acute Care of the Elderly In-patient Unit. She serves as a consultant to the Memory Clinic at Cottage Country Family Health Team in Gravenhurst. She is passionate about helping older adults age in place and expanding senior services throughout the North Simcoe Muskoka region. Join Hospice Muskoka and The Andrew Potts Memorial Foundation for an Historical Ground-Breaking Event. Enjoy an evening of Celebration, Music & Refreshments, See the Plans, Share our Dreams! This year's theme for Hospice Palliative Care (HPC) Week is moving Canadians toward a more Compassionate Canada, Eh. More details will be available soon. Online registration is now open. Please register as an Individual Hiker or Team Captain. No charge to register, however, we encourage you to get pledges. We will have events for Children as well as Zumba Dancing for those who do not wish to Hike. Please register for Zumba by emailing info@hospicemuskoka.com the cost is $10. Join Muskoka Melody for an Evening of Familiar Music including, Oldies, Folk, Country and Good Old Fashioned "Sing-Alongs"